By Angela D’Valda Sirico of DanceTeacherWeb.com. All businesses have customers. Many have staff and business associates that you will have to work with. Sooner or later you will have to deal with a difficult one. You may even be dealing with one right now! How you deal with it will be a huge factor in how your business will thrive and survive. No matter what, I recommend that you be professional at all times. Try not to take anything personally that the customers may say, even if it is about you! Let’s face it, no one wakes up in the morning and says, “Oh boy, I really hope that I have to deal with a difficult person today. I am really looking for a real confrontation!” But if you are going to keep your sanity, you will need to have a strategy for how you will deal and react with the difficult ones. Below are three different groups that as studio owners you may have to face. In any circumstance, have the party come in and meet with you face-to-face. If someone is belligerent, abusive to you or just not good for your business, meet with them to say goodbye and show them the door – and I don’t care who they are! There will be times you will need to draw a line in the sand and say enough is enough. 1. Meet as soon as possible to discuss the problem at hand. 2. Meet during a time where you will be undisturbed and away from customers. 3. Listen intently and take notes. 4. Meet again to discuss how this issue can be resolved. 5. Stay professional at all times. 1. Meet only with the parent at first. 2. Listen to all issues, take notes and then decide the best course of action. 3. Meet with parent and student to discuss issues. 4. If you decide it is best to part ways, then you must do it! 5. Don’t take it personally even when it gets personal. Don’t lose your cool! 1. Send a certified letter with the issues you are having and set up a meeting. 2. Decide up front what is the best course of action. 3. Find a happy middle ground. 4. Don’t let them push you around. 5. Stay businesslike at all times. Steve Sirico and Angela D’Valda Sirico. Steve Sirico and Angela D’Valda Sirico have been teaching, choreographing and producing shows for over thirty years. In 1979 they formed the Adagio team of D’Valda & Sirico after performing in shows and on television worldwide as individual dancers. Their performing credits include “Scala” Barcelona, Spain, Casino Estoril, Portugal, Theatre Royal, Oxford, England, Riviera Hotel, Las Vegas, Hotel Tequendama, Bogota, Columbia, Teatro Nacional, Buenos Aires, Argentina,and as Guest Artists for Wayne Sleep’s smash hit “Dash”, Dominium Theatre, London. They were featured artists in Royal Command performances in Spain and had the privilege of performing for Princess Diana of Wales. D’Valda & Sirico’s many television credits include “David Letterman”, “Star Search”, and “Tarde Para Todos” as well as variety shows in the U.S.A, Spain, Sweden, Switzerland, Finland, Portugal , Italy and Argentina. Their combination of explosive choreography and exciting partner work has been given rave reviews both nationally and internationally. Their choreography for the acclaimed “Brother Can you Spare A Dime” was commissioned by Boston Ballet II and performed by the company. 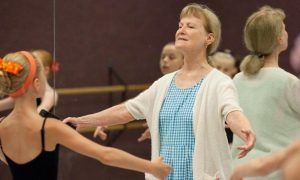 Angela and Steve have owned and directed a very successful dance studio in Fairfield, Connecticut since 1987. 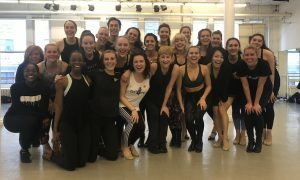 Their students have received scholarships and contracts to American Ballet Theater, Boston Ballet, Joffrey Ballet, Nashville Ballet, Ballet Hispanico, Hartford Ballet as well as the National tours of “Fosse”, “Fame” and “We Will Rock You” and on Broadway in “Chorus Line”. Angela and Steve have been on the faculty of Dance Educator’s of America’s Teacher Training program. Steve is the author of his Jazz Dance syllabus and together they authored their Partner syllabus both used for Teacher Training worldwide. Angela served as Chairperson for the tri state panel of the Royal Academy of Dancing and they have taught as guest faculty for Mt. Holyoke College, Michigan State University, The University of Arkansas, Yale University and Fairfield University. 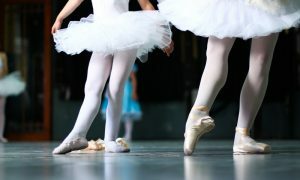 They teach Master Classes in Ballet, Jazz, Lyrical Jazz and Partner work all over the world including residencies in England, Spain, Costa Rica and Mexico. From 2003-2005 they were presenting faculty for Dance Teacher Magazine’s Summer Teacher’s Conference in NYC. They continue to be active as adjudicators for major dance competitions and recently choreographed the opening production number for the National Speaker’s Association at their annual convention on Broadway in New York City. In 2007 Steve and Angela launched Dance Teacher Web, an online creative and business resource for teachers and dance studio owners worldwide and each year they produce Dance Teacher Web LIVE Conference and Expo. Described by attendees as “the one and only conference truly for dance teachers and studio owners,” LIVE brings to life everything that is unique about Dance Teacher Web. Three full days are packed with interactive sessions, expo resources and special events all with the goal of providing you with the very best in teaching tools and products to enhance your business, career and life.